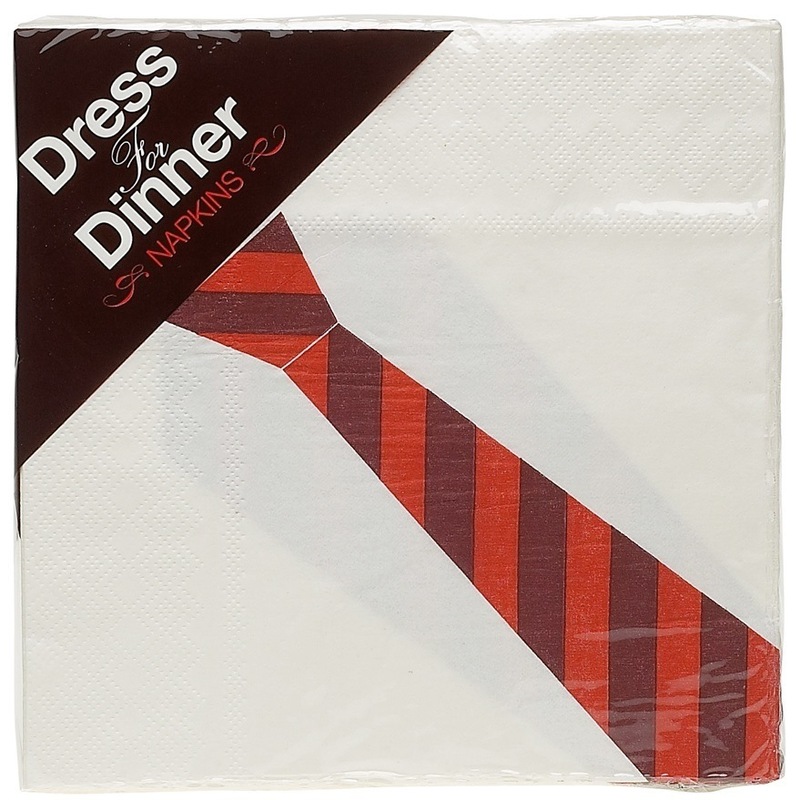 Always look your best at the dinner table with these great napkins that come with a tie printed on them for when you tuck them into your collar.We know, we know – paper napkins, what a waste. But let’s put that aside for a night in the name of fun! 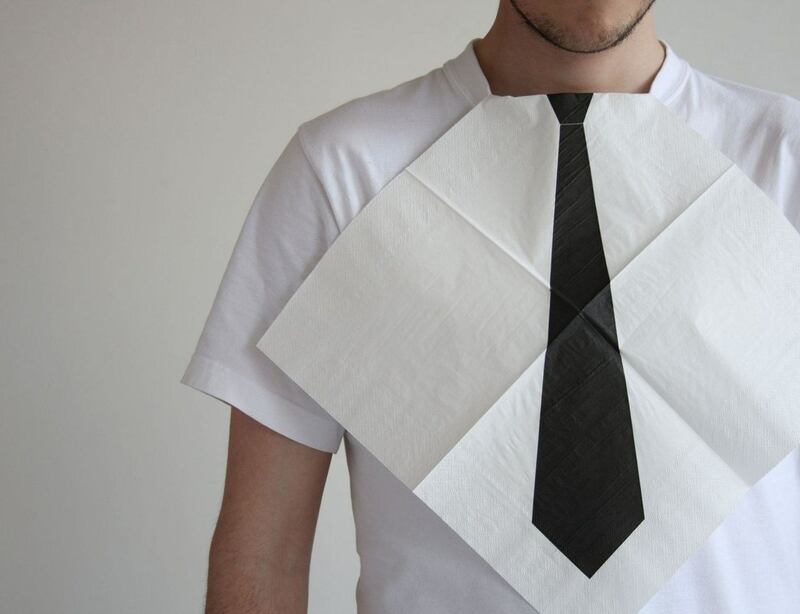 The Tie Napkins will add a clever touch of formality to your next dinner party. 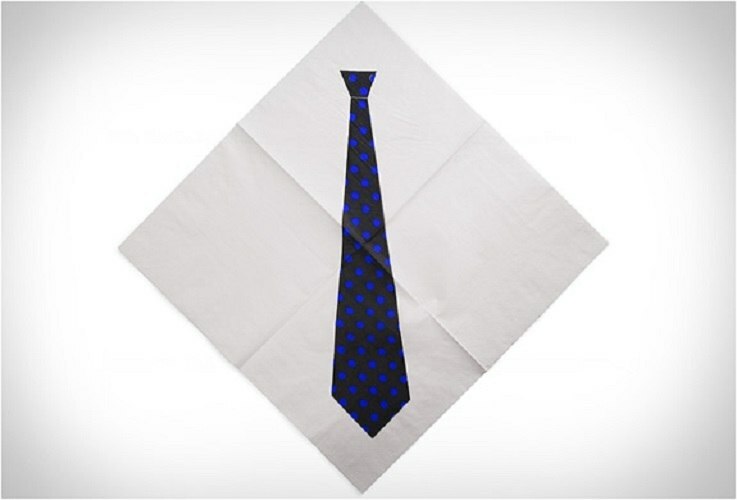 Available in a pack of 20, they include 4 assorted neck-tie designs: 2 stripe, 1 solid, 1 polka dot.